As some of you know, I am a big fan of the Stanton 680/681 (aka Pickering XV-15) cartridge. I'm very happy with the way mine sounds with the Reflex M (much better than other phono preamps I've used). Now, the other day I was watching a video where a guy was talking about how much he liked the cartridge and that he was introduced to it in the 70s when he worked in radio broadcast. He also said none of the cheaper, newer phono preamps he had at home did the cartridge justice, so he's moved onto other cartridges (e.g. Ortofon and AT). 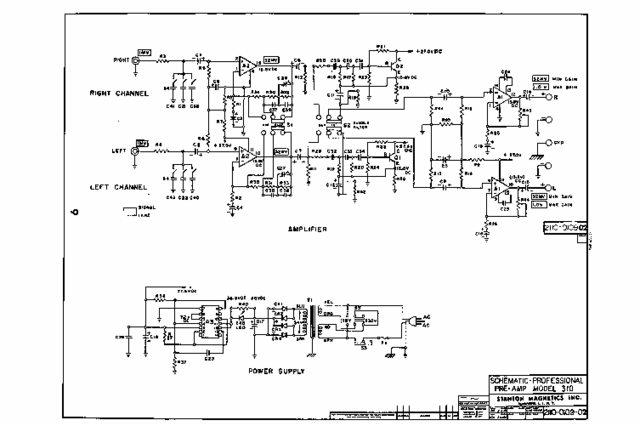 He goes on to say that he thinks there was something special about the Stanton 310 phono preamps that were installed at his radio station for use with the 680/681. That got me thinking...I am wondering if there are any design similarities at all between this old Stanton 310 broadcast unit and the GS phono stages. I know Graham's designs are his own, just wondering if there are similarities by coincidence. I have the Stanton manual this comes from on my shelf and can safely say I was never tempted to copy it.